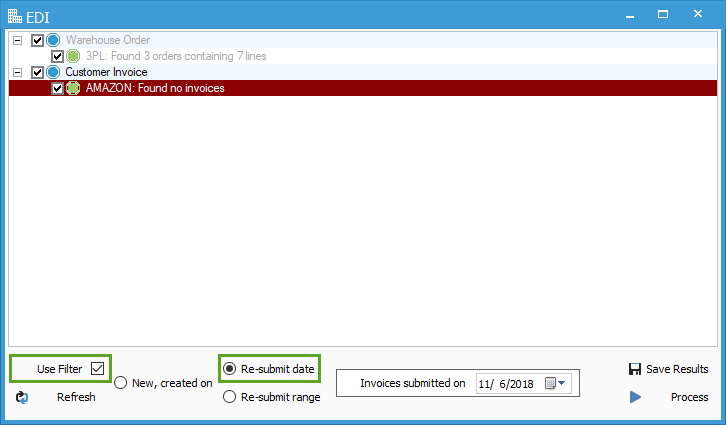 When an EDI 850 Customer Purchase Order is brought into Acctivate and Invoiced, the Invoice is automatically selected to be sent back to the partner as an EDI 810 Customer Invoice. 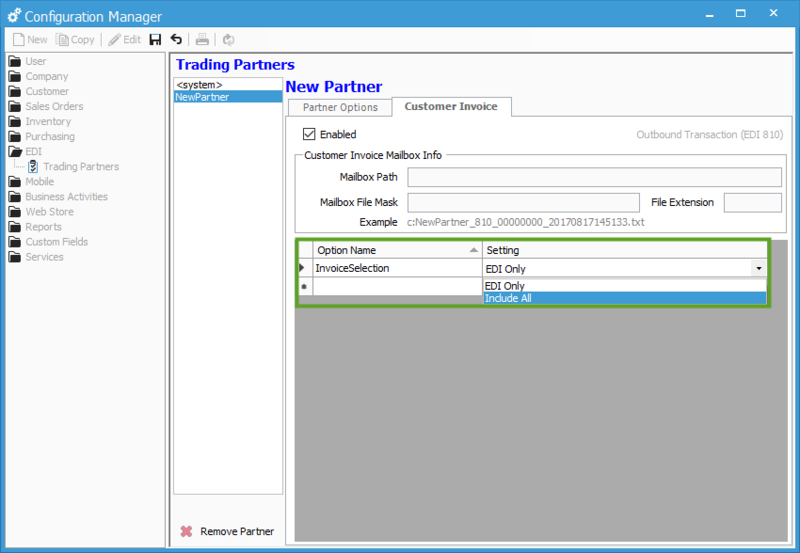 If an order is created for an EDI partner in Acctivate manually (without an 850), an option exists to also send these invoices to the partner as an 810 file. This article will show where this option is set. Click Edit and select EDI Only or Include All from the drop down. If set to EDI Only, invoices will only be sent as an 810 if the related order was created from an 850. If set to Include All, invoices for orders ‘not’ generated through and EDI 850 can still be transmitted as an 810. You may to use the filter by Date or Invoice Number.